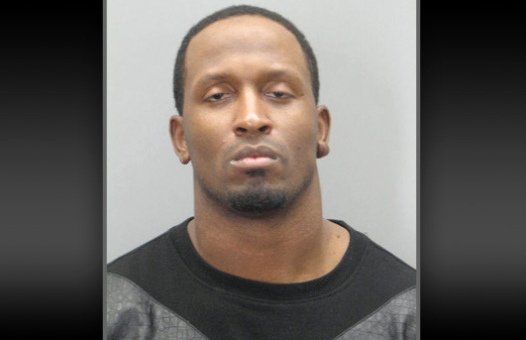 Former Washington Redskins player Fred Davis has turned himself in to police and pleaded not guilty in D.C. Superior Court Thursday. The 28-year-old was wanted for a domestic violence simple assault charge. Davis' attorney says the charge should never have been filed. "This incident occurred at somewhere around 3 a.m. and it wasn't until the next day in the afternoon that she contacts police," said attorney Billy Martin. "We think there is no merit to this. We think that the evidence will show that this young lady, for whatever reason, was trying to get back at Mr. Davis and we look forward to an opportunity to prove his innocence." FOX 5 spoke with the woman who claims Davis assaulted her. “He told me that he would hit me and he referred to my friend as the infamous rapper 2 Chainz,” said Vergie Arandid. She says she had a brief romantic history with Davis, but she had not seen him in several weeks when he walked up to the table she was sitting at with a friend at The Diner in Adams Morgan in the early morning hours of June 2. She was stunned by Davis' behavior. She says she was standing next to the table talking with him and was getting ready to sit down. She says she was embarrassed and upset, so she headed outside for a cigarette. “Within seconds, Fred Davis follows me, he walks past a metal railing outside of The Diner, grabs a handful of dirt from a pot that was hanging from that railing and throws it at me,” she said. She says Davis then exchanged words with her and her companion for about 20 minutes. “Out of impulse, I grabbed a ketchup bottle and I was going to spray him to be honest, but the people that work at The Diner got to me,” Arandid said. No one was physically hurt, but she says the incident was caught on surveillance video. Once police saw it, they issued a warrant for his arrest on a simple assault charge. Arandid says she is considering filing a lawsuit as well. This all comes after Davis was ordered to pay $20,000 in damages to a woman after he was caught on video throwing liquid and a bottle at her at Josephine Nightclub and Lounge in D.C. back in 2011. He was suspended by the NFL in February after his second violation of the league’s substance-abuse policy. Shortly after, he was charged in Virginia with a DUI.